This DREAM PAIRS sheepskin fur boot is perfect for both all around the house and outdoor comfort. 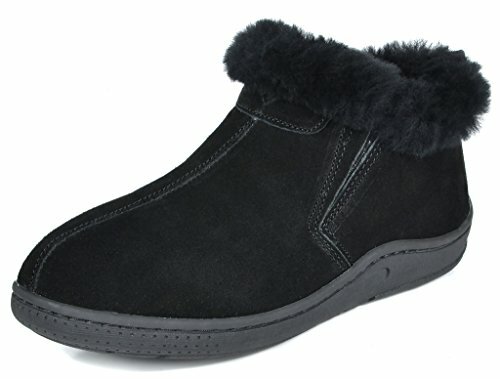 Product Features: suede upper slipper with stitch detail, indoor/outdoor rubber bottom Suede Luxurious pile lining. The suede upper features a traditionally stitched moc-toe and 360-degree lacing, while sheepskin fur lining adds extra warmth and coziness. The rubber outsole is substantial enough for outdoor use.